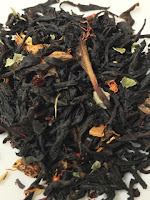 Dunedin tea, The Dunedin Tea prides itself on providing high quality loose leaf tea, but without the designer price tag. 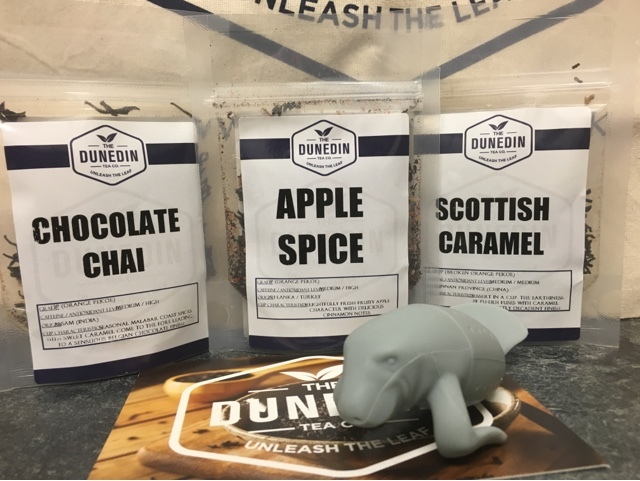 Dunedin Tea stocks a host of loose leaf teas from around the world so choosing from this amazing range was quite difficult, But after a a lot of deliberation i choose, Chocolate Chai,Apple Spice and Scottish Caramel. 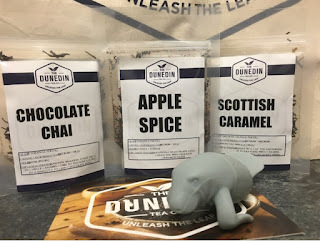 Dunedin comes in various packaged sizes from 50g to 1kg with prices starting from £2, When I first opened each Dunedin packet the scent that greeted me was absolutely amazing, which made me even more keen to try these amazing teas. 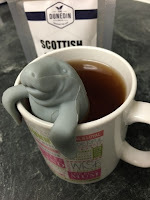 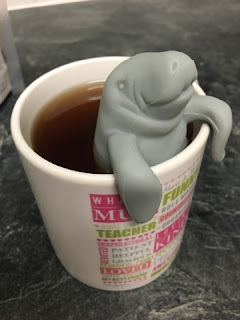 Dunedin loose leaf teas are easy to use, simply add one heaped teaspoon to hot water and let in infuse for 3-7 minutes, preferably using a tea strainer or a infuser like this cool Fred’s ManaTea infuser, I added some sugar for sweetness, But its totally up to you. Scottish Caramel - This tea is from Yunnan Province in China, but was founded in Glasgow to strengthen ties between two different countries, Scottish Caramel tea has an earthy Caramel taste. Chocolate Chai - This tea is from India, Delicious deep chocolate taste with a hint of caramel, I really like the fact that this loose teas had small pieces of white chocolate. 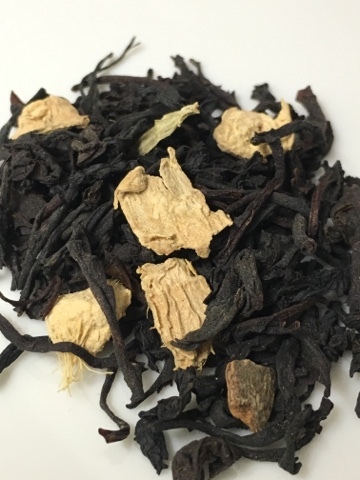 Apple Spice - This tea consits of three blend of tea from three regions in Sri Lanka, A delicious apple tasting tea with a gentle hint of cinnamon. 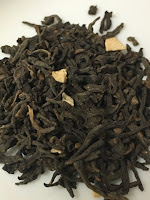 It was a real pleasure to try Dunedin loose leaf teas, They were unlike any teas i have ever tasted before, they were all delicious, So much so i cant wait for my next cup. 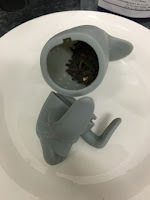 If you would like to know more about Dunedin and there delicious range of loose leaf teas and Tea-ware accessories check out Dunedin Tea.